WeaponTech currently makes just one product: the Enhanced Bolt Hold-Open Follower for the AK-47 series of weapons, sold in packs of three. 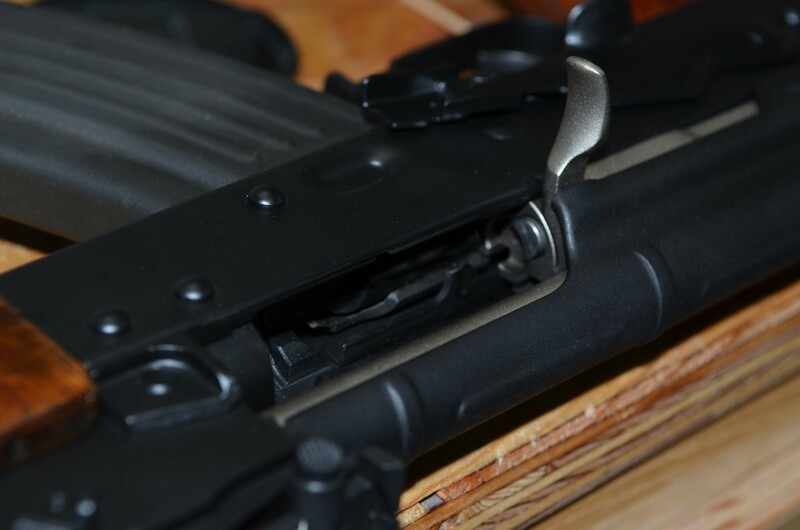 AK-47 rifles, like all major weapons systems, are very polarizing, but one thing that most AK-47 owners will agree on is that the lack of a last-round bolt hold-open is aggravating, as well as potentially dangerous. The last thing anyone wants to hear when they pull the trigger and expect to hear bang is to instead hear the dreaded click. This device eliminates such a condition. I was first turned onto these while watching a YouTube video, and quickly found that Primary Arms and AK47-74 Operators Union‘s websites both sell them. So I figured, why not take a $14.95 gamble and try them out? I mean, last time I ordered pizza I wasted that much. So a few quick clicks of the mouse, and I had helped fellow Polish-American and Veteran “RobSki” advance his small business. I waited patiently for them to arrive. When they showed up, I set to work replacing one of my standard magazine’s followers. This is what a standard Eastern European AK47-series magazine follower looks like. We will call this the “before” picture. There is absolutely nothing wrong with the normal operation of this magazine. On the left is the original magazine follower, and on the right is the WeaponTech Enhanced follower. Clearly seen is the steel pin that stops the bolt from going forward into battery after the final round is fired. 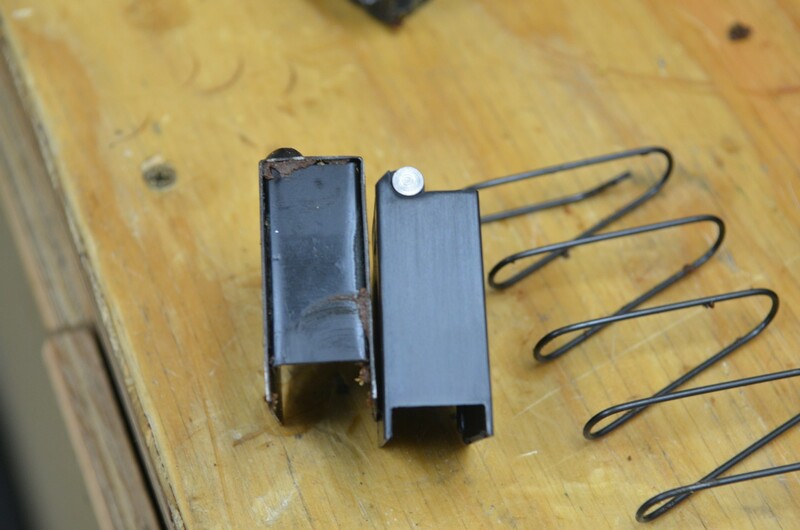 Once the spring was secured correctly, I reassembled the magazine and loaded it using my Maglula magazine tool. It held all 30 rounds with no binding or issues. I then used the same tool to unload the magazine before trying its fit and function in my Polish AK-47. 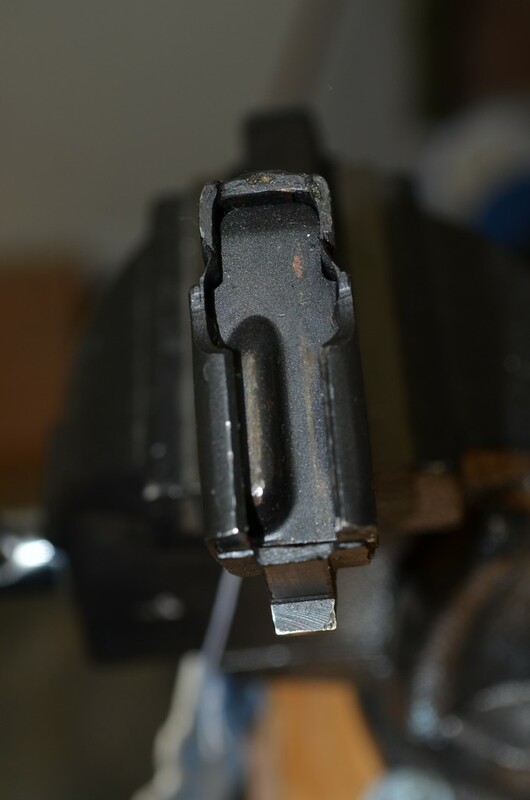 Once the magazine was inserted, I retracted the bolt fully and released it. I heard a loud clang as the bolt stopped on the new follower. It’s important to note that once you release the magazine, the bolt does go forward into battery. It should be expected, but it has to be said. I inspected the follower and it seemed fine, so I repeated it 20 more times just to see if any marring was occurring on the follower pin. No damage or wear was noticed at all. I intend to test these out next week in freezing temperatures to see how they hold up to what has so far been a rather mild Alaskan winter. The body of the follower is some sort of plastic composite, so it will be interesting to see how it holds up. I have some plans that include freezing two magazines in a bucket of water and seeing how the follower functions compared to a standard steel follower. I have contacted the company to see if they are making these followers for the 5.45mm AK rifles as well. I will report on that when I finish the cold-weather testing.